Gregory Murphy has been named police chief at California State University, Northridge. He was assistant chief of police at the University of California, San Diego. Murphy holds a bachelor’s degree in computer science from Park University in Parkville, Missouri, and a master’s degree from American Intercontinental University in Los Angeles. Eric Minor has been appointed the inaugural chief marketing officer at the University of Illinois. He was the senior director of marketing and innovation for the Libman Company based in Arcola, Illinois. Minor holds a bachelor’s degree in electrical engineering from the University of Illinois and an MBA from the University of Chicago. Brian Pugh has been named executive director of the John C. Stennis Center for Public Service Leadership at Jackson State University in Mississippi. He currently serves as deputy executive director of the Mississippi Department of Finance and Administration. Dr. Pugh holds a Ph.D. in public policy and administration from Jackson State University. 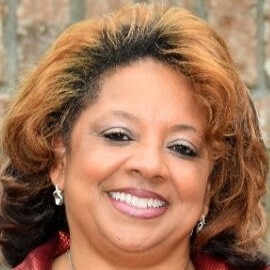 Mel C. Norwood has been named associate provost and vice chancellor for the Division of Student Development and Engagement at Winston-Salem State University in North Carolina. He was dean of students and chief student affairs officer for Reinhardt University in Georgia. Dr. Norwood holds a bachelor’s degree and master’s degree from Alabama State University He earned a doctorate from Auburn University in Alabama. Hans Cooper has been named vice president of enrollment management and student experience at the University of Maryland Eastern Shore. He was registrar at Johns Hopkins University in Baltimore. Dr. Cooper holds a bachelor’s degree in business administration and a master’s degree and Ph.D. in higher education administration all from Morgan State University in Baltimore.